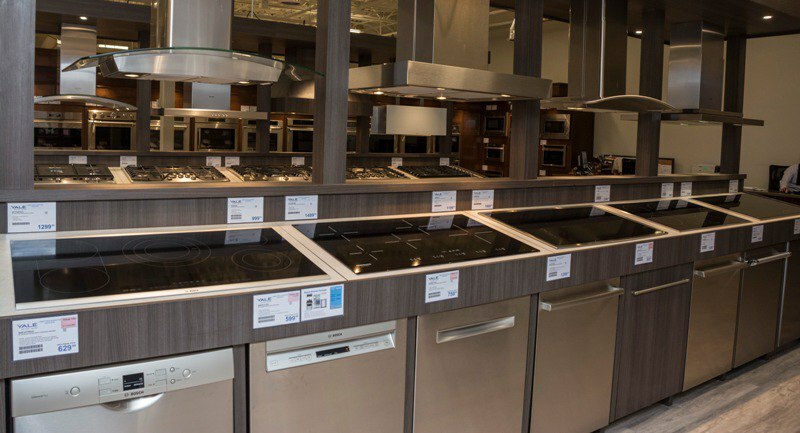 Struggling to choose new induction cooking? Discover top brands & values in our buying guide. By now, you are probably convinced induction is the best cooking type. It is faster than the hottest professional gas unit with a far better simmer and instant response. However, you are probably wondering the reliability of the magnetic burners and whether it is a problem to fix. In this article, you will learn our repair methodology and then the individual breakdowns for each brand. Unlike most review sites, you will understand reliability based on first year percentage of 34,687 service calls logged by our service department last year. So you will have the best idea of how these products perform in your home. Induction is electric but uses magnets to excite the molecules in your pan, while the pan cooks the food. You would expect it to be reliable like electric because the working parts are covered under glass, unlike a gas burner. Induction performs slightly worse than the average appliance at 16% average service for the category versus over 13.4% for general appliances. Last year, every manufacturer performed well and the service percentage was just over 10% versus 16%. Bosch is the clear winner along with Jenn-Air and Wolf. Newer products from Thermador and Bosch Benchmark did not perform in the field as well as last year. Thermador was number 3 last year and their service calls almost tripled. Newer products have a tendency to spike and then level off, so they should improve in 2019. Miele also had a bad batch and their share of problems in 2018. They also should be better, but we will look at their trend later. Our reliability measurement is a pretty simple formula. We have 30 service techs averaging 8 calls a day, 5 days a week with 12 working on Saturday. In 2017, we logged 30,761 service calls. In 2018, that number increased to 34,687. We simply take the warranty service calls and divide it by unit sales for that year. We count every time our service tech enters a home as a service call, no matter if it's for minor or major issues. Induction is a product you should consider. It is by far the best performing cooking type and has decent reliability. However, it's not an easy repair. The service percentage has increased from 2018-2019 for all product categories as appliances are being produced from farther away like Korea and China. In a kitchen full of new appliances, you will need some kind of repair within the first year. You should find a service agent before you buy any appliance because products do break and need repair. Check local repair agents before you buy any kind of appliance because it’s when you have the most leverage. Bosch, Jenn-Air, and Wolf are the most reliable. All have bridge elements for oblong pans or griddles. Are induction cooktops better than gas? Yes. They are faster and have a greater range of temperature and simmer. Induction is safer as well because you need metal to activate the metal burner. Induction is magnetic heat. It excites the metal in your pan so the pan cooks your food. What kinds of pots can I use on an induction cooktop? Because it is magnetic, you have to use pans with a level of metal composition. Do induction cooktops scratch easily? It can be scratched, but the glass is tempered and mostly scratch resistant. 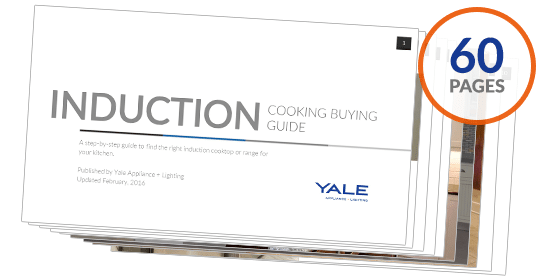 Read our Induction Cooking Buying Guide for features, buying tips and ratings of every available induction cooking product in the market. Well over 410,000 people have read a Yale Guide. Induction is our most popular.